McCutcheon Halley secured development consent from Louth County Council in 2017 for rehabilitation works to the existing quay wall at Berth No. 2 at Greenore Port, Co. Louth. The proposed development included dredging of harbour sediments, piling works, installation of a steel combi-wall to the front of the existing quay wall and rehabilitation works to the existing quay deck. Prior to lodging the application, McCutcheon Halley prepared a Strategic Infrastructure Development (SID) pre-application consultation request seeking the Board’s determination as to whether the proposed of the Berth No.2 would constitute strategic infrastructure within the meaning of The Planning and Development Act 2000, as amended. It was submitted that the proposed development would not constitute SID on the basis that the quay at and that the proposed works are therefore not to construct a quay, but rather to realign and refurbish the existing quay wall. The Board in 2016 determined that the development involved would come within the scope of the Seventh Schedule of the Planning & Development Act 2000 (as amended) but considered that the development would not satisfy the requirements of section 37A(2) of the Act and directed that the planning application should be made to Louth County Council. assessment accompanied the application and included a sub-aqua assessment to demonstrate that archaeology would present a constraint to the proposed dredging. • Flood Risk – The Eastern CFRAM mapping identifies Greenore as at risk of flooding. The application was accompanied by a site-specific Flood Risk Assessment It concluded that the application area is located within Flood Zone C and has a low probability of flooding. In terms of vulnerability, the proposed development was classified as ‘water compatible development’ and was therefore deemed appropriate. 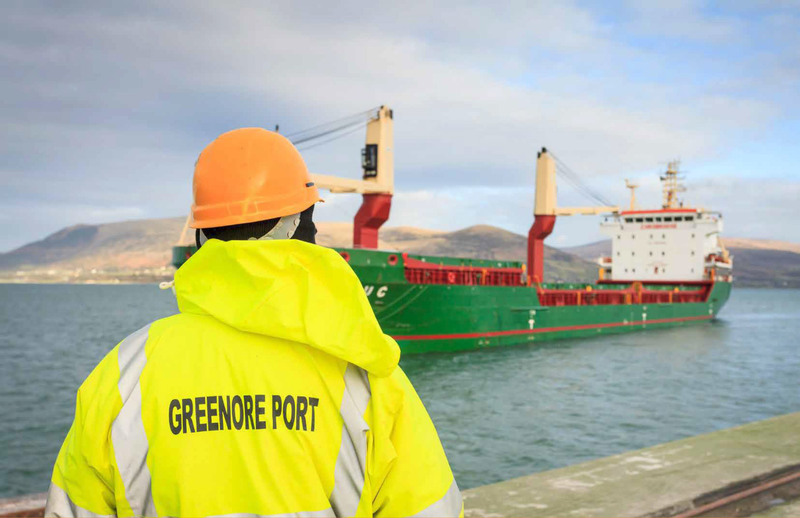 • Appropriate Assessment – Greenore Port is adjacent to 2No. European Designated Sites, Carlingford Shore Special Area of Conservation (SAC) and Carlingford Lough Special Protection Area (SPA). A Stage 1 “Screening for Appropriate Assessment” report accompanied the application and concluded that there will be no significant impact on the conservation objectives of the identified Designated sites or on any Annex II species using the area as a result of the proposed development either alone or in combination with other projects. On the 1st June 2017, Louth County Council granted permission for the proposed development. 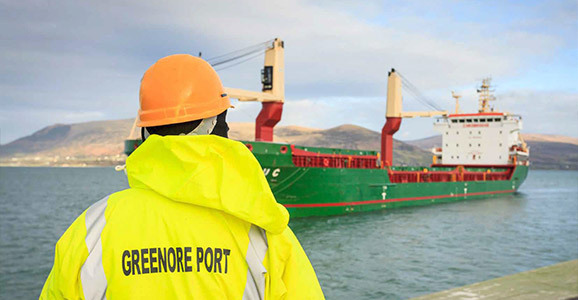 The works, when complete, will address the structural concerns relating to the existing quay wall and provide for improved safety and operational practices in Greenore Port.